UK radio really is quite exciting at the moment! 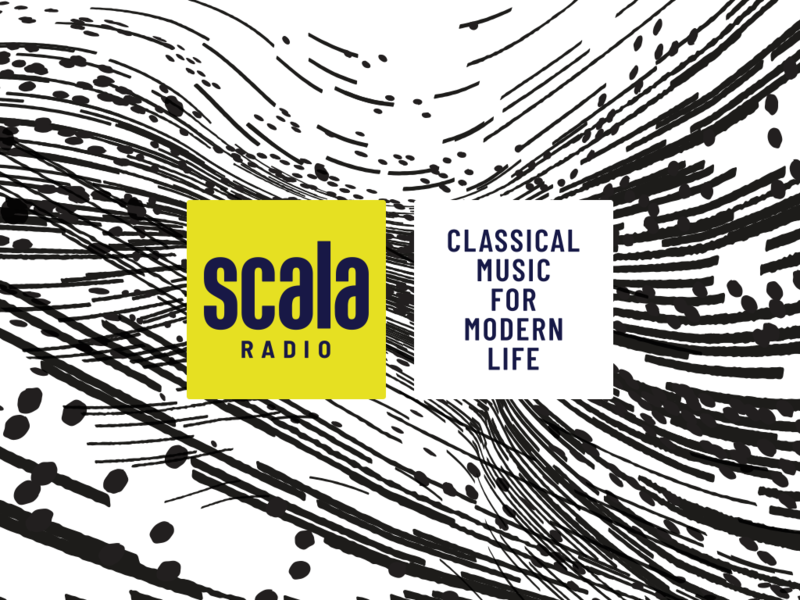 Bauer has just announced the launch of Scala Radio, a new classical music station which will launch digitally on the 4th March 2019. Simon Mayo is the big name signing. He’s been keeping everyone guessing about where he might be going since he left Radio 2 at the end of last year. Would he be joining Chris Evans at Virgin? Or taking over breakfast on Smooth? Neither. Instead he’ll be on Scala Radio which is positioning itself as a ground-breaking classical entertainment radio station, offering classical music for modern life. Interestingly, Kermode is also going to have a show on the station exploring film music. Other presenters will include Angellica Bell, Goldie, Chris Rogers, Charles Nove, Mark Forrest, Sam Hughes and Jamie Crick. Both Forrest and Crick have previously been presenters on Classic FM. There’s no specific mention about who’ll be on breakfast. It’ll be really interesting to see what kind of audience Bauer is targeting with this new station. I’ve often pointed out that although the incumbent classical music stations, Radio 3 and Classic FM would seem to target the same audiences, they don’t really. Crossover between Classic FM and Radio 3 audiences, RAJAR Q3 2018. 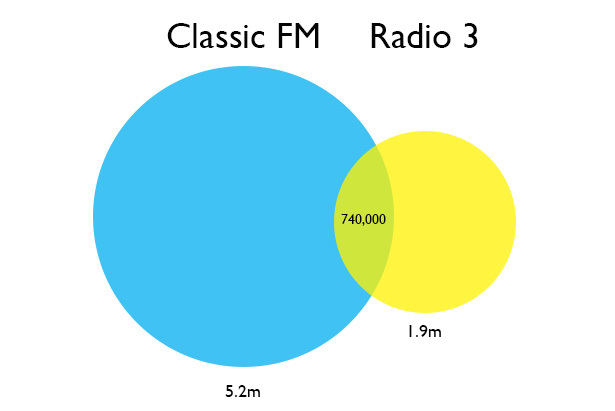 As the chart above shows, Classic FM has the larger audience, but only a relatively small proportion of either station’s audience listens to the other station. 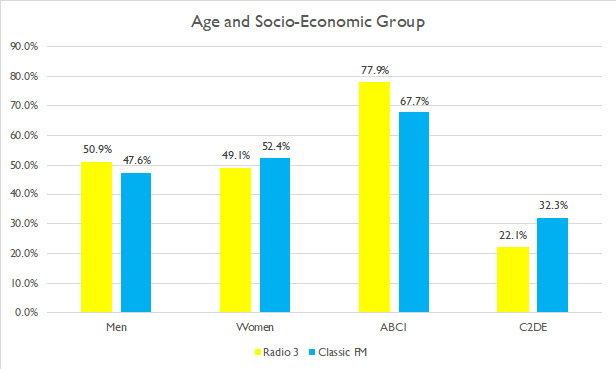 And both Classic FM and Radio 3 have fairly stable audiences. So the question is, where will Scala Radio fit? 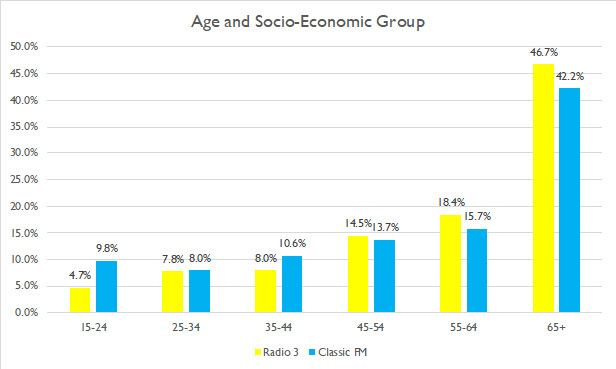 Well the average age of a Classic FM listener is 56, while that of a Radio 3 listener is 59. So my guess would be targeting a slightly younger demographic, and possibly a little less ABC1. Depending on how broadly you define “classical” music, then there might be room for reaching a younger demographic. Bauer’s press release name-checks living composers like Karl Jenkins, Rebecca Dale, and Thom Yorke (of Radiohead), as well as long dead ones like Mozart and Holst. 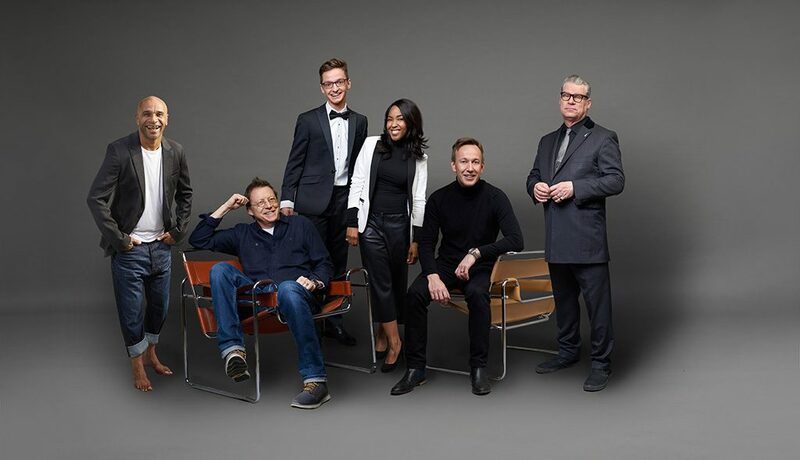 I suspect that the popularity of Simon Mayo will give Scala Radio a good bit of help in getting the station off the ground and running early on. But as with Virgin Radio it will be interesting to see how much marketing Bauer puts behind this station. As the Wireless Group has done with News UK titles, Bauer has a wide range of sister magazines it can use to give market the station. 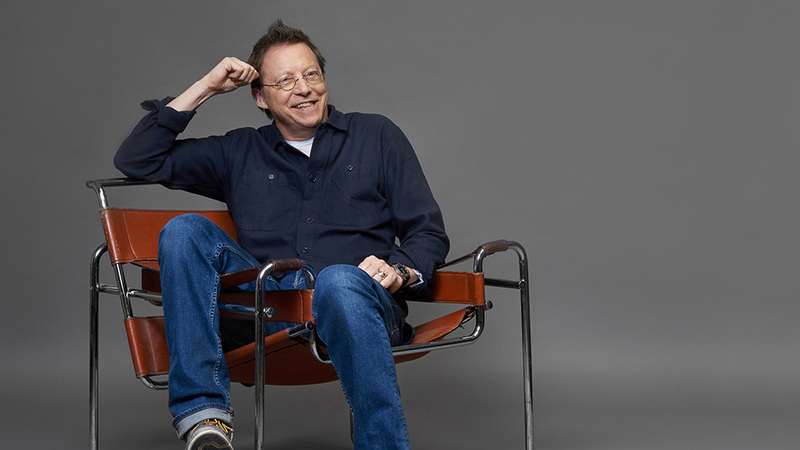 Simon Mayo was getting an audience on over 6m on his Radio 2 drivetime show, and while that kind of audience would be beyond the wildest dreams of Bauer, it’ll be really interesting to see what it does do. Radio really is quite exciting at the moment! The Deloitte report published last week, that was very positive about radio, doesn’t seem to be wrong. PS. The name is interesting. La Scala is obviously the very famous opera house in Milan. But to me The Scala is a theatre near King’s Cross that used to show cult films, but now is mostly a music/club venue. Mark Kermode mentions it frequently on his and Mayo’s film programme. [Update] See also blogs from Matt Deegan and Phil Riley on Scala Radio. Put simply, Scala will fit where advertising agencies want it to fit, it’ll do what they want it to do, and it will run for as long as they want to support it. That’s the business these groups are in and I think it’ll do well for them. Bauer is building a compelling upmarket group of stations to sell to advertisers. See also the recent purchase of Jazz FM. The two will be carefully marketed together. Yes – if it’s not supported by the advertising industry it’ll close. But it’s Bauer who gets to tell the story here, not the agencies. 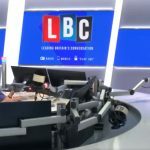 I do wish Scala Radio all the best, and whilst I agree with others that the advertising agencies will dictate focus, I do hope this station will stick to it aim for a broader reach appeal, as there are a lot of artists out there that do cross over musically, but then sadly slip into a void for not being Classical enough. Quite a few years back I introduced a young Italian lady Filippa Giordano to the UK (part of Andrea Bocelli’s original Italian stable) her recording where a spin on light Pop meets Opera, I christened it POP-ERA … she appeared on Michael Parkinson’s TV show, BBC News ITV and the then Classical Brit awards along with an invitation to perform for HRH Prince Charles … but sadly we were snubbed by Classic FM and the Classical journalist snobs for being to left field (pop) … I have now taken on a young lady Natasha Hardy (great voice) who is embarking on a Classical Crossover career … her self penned album contains some italian arias, again my fears are that she may be ignored by the (purists) for being to pop …. so if one is intending to seek a younger audience (thus bringing a smile to the advertiser) then a little more musical flexibility will go a long long way – rant over! Mono ? That’s advancement for you. Simon Mayo is a name I’ve not thought about since leaving the shores of dear old blighty in 1995. Used to listen to his Radio 1 programme for years. Glad that he’s still in the business. Simon Mayo is right up there in UK radio. After Radio 1 he spent quite a few years on Five Live, doing the afternoon show. He only left that when the network moved to Salford. He moved onto Radio 2 where he’s been afternoon drive for another long stint. For years now, starting when he was at Five Live, but continuing while he was on Radio 2, he’s presented a film review programme with film reviewer Mark Kermode. The Kermode and Mayo podcast that comes from this programme remains one of the BBC’s most popular. He’s continuing this show even as he starts at Scala Radio. Mayo has also published a series of YA novels, with his first adult novel last year. And as I type, he’s presenting an old 1986 Top of the Pops on BBC4!